Recent learning trend reports tell of a move from push models of learning to a pull model. But what does that actually mean? And what do you need to do to make sure your learning pulls people in and even achieves that elusive 'viral' quality? Push and pull are terms that are very familiar to web content strategists and marketers. However, many L&D teams are only just waking up to the power of—and demand for—different types of content strategies in learning. 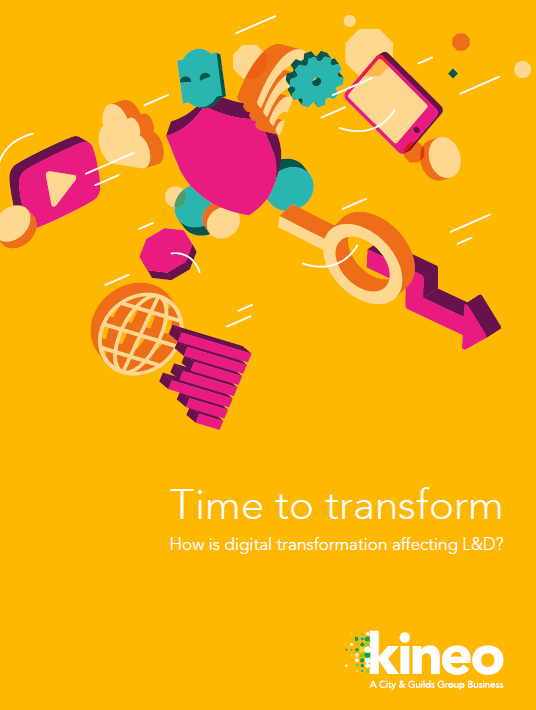 Time To Transform: How Is Digital Transformation Affecting L&D? Get a notion on how Digital Transformation affects L&D, and what are the next steps it brings. Think back a few years to conversations with people commissioning training about how learners will get to a piece of learning. Common answers would have been "we'll send an email to learners" or "line managers will tell their teams about it". If the team had thought more about the marketing strategy for their learning, perhaps they might have been a poster campaign or a message in a newsletter. These are all ways of pushing content out to people. This isn't the only way to do things. Pull presumes people will come to you and, if you provide an engaging and valuable experience, they'll keep coming back. They might even want to tell others and you can achieve that elusive viral quality. But, to quote Field of Dreams, it is true with learning that "if you build it they will come." With an increasingly web-literate audience within most organizations, people are used to hunting down information as they need it. So many people are active consumers of information and learning. Yes, that time you spent on YouTube teaching yourself to knit/to moonwalk/to wallpaper/what makes a good TV (delete where applicable) was learning – especially when you went on to practice and master said knitting or moon walking. We define our learning journeys, judge the quality of the resources, and chart our own progress towards our goals. That doesn't mean that push strategies are pushing daisies. There will still be learning that people need to do and in a certain time and format. But if organizations fail to monopolize on learners' inherent learning habits and preferences, they're missing a huge opportunity. Here are 6 things you can do to make the most of modern learning and browsing habits. With learners designing their own journeys, the notion of a curated course isn't always important. It can be more important to have a set of resources with which learners can fill their gaps. These resources can use the same mix of video, infographics, eLearning, etc. that comprise a traditional course. However, you might want to focus on resources people use at the point of need, including job aids such as quick-start guides and checklists. Just because you're organizing a resource base doesn't mean you're just presenting static information. There's still plenty of space for all types of learning including diagnostics, activities, quizzes, games and even structured assessments. If you're going to create a resource base, you need to make sure people know where it is. A platform – LMS, intranet, or otherwise – needs to give people easy and quick access to resources. Consider the value of good categorization and search functions. But remember, your audience will never get that far unless you have an awareness campaign to herald the platform's launch and then regular signposts to make sure people remember it's there. Don't feel that you need to do all the promotional work, though: Never underestimate the power of sharing. People will want to pass on an impactful and useful resource so actively encourage this. The snowball effect of sharing and resharing is what makes something viral. If people are going to be looking for content at the point of need, think carefully about the devices you're targeting. Will those people be likely to need that information when all they have to access it is a phone? Or over mobile broadband? Or on their own devices? Recently, I wrote a blog post on microlearning. Cutting your content down into small pieces that deal with self-contained concepts is a good way to go in a pull strategy. 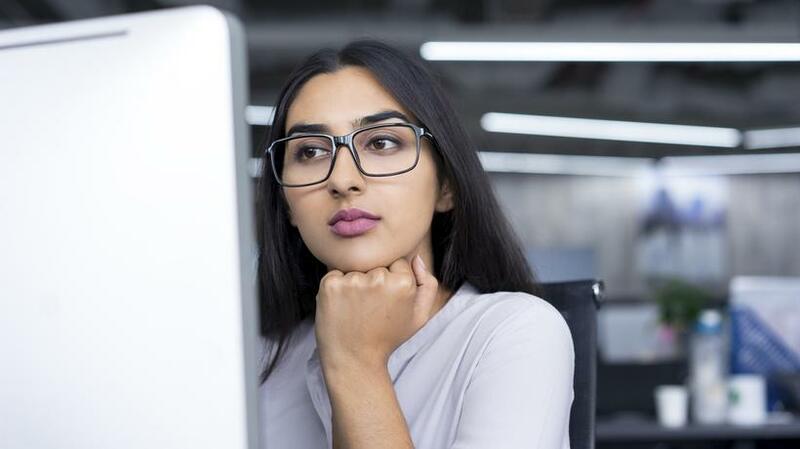 If you're creating learning about a new sales process, you might include a refresher on features, advantages, and benefits. It might be better to break this refresher out into its own resource so it's easier to find if people go looking for that specific information. Sometimes, it's a challenge to engage people with certain topics. When learning is mandatory, it can make sense to spend the first few minutes hooking the learner emotionally before you outline the learning's full benefits. Put yourself in the mindset of someone who's searched for that content. The first thing they need is confirmation that the learning will fulfill the need that drove them there. So make sure it's clear at the start what the learner will get out of their time. We've all turned off a video or gone back to the Google results page because a creator hasn't got to the point quickly enough. SCORM tracking is a staple of eLearning. It allows us to neatly track what people have completed and the newer xAPI (where available) allows us to do that in lots of fresh and interesting ways. But consider how much tracking individual learner progress matters and, if it does, what do you want to do with that information. If you want to analyze the amount of people visiting content and which content, how many resources the average person visits, how frequently, what time of day, from which devices and so on, then you're in the realm of web analytics. It's perfectly possible that you want to both track completion and compile analytics. Understanding what data you need to fulfill the learning's KPIs is very important. Finally, seek out and listen to feedback. Run focus groups to find out what your audience want and what they need. When your learning is up and running, gather feedback to make sure it's hitting the spot. After all, a pull strategy is all about having the right information available, right away, and only the people on the ground can give you that real insight. If you want to know more about creating effective training for your corporate learners in the digital era, download the free eBook Time To Transform: How Is Digital Transformation Affecting L&D?.